Hi, Kelly Jones! Thanks for visiting Watch. Connect. Read. 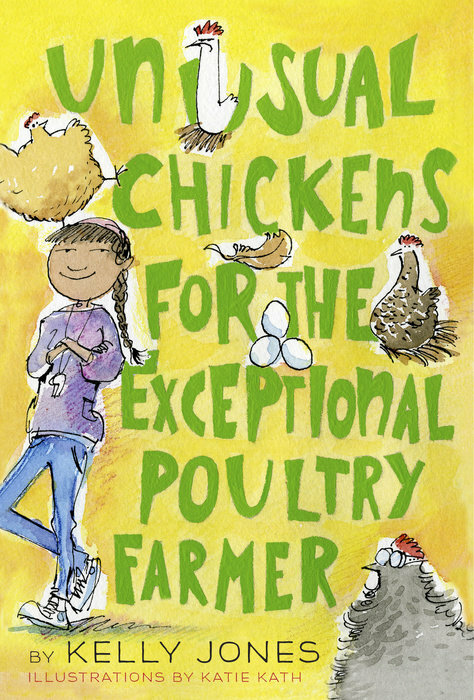 to celebrate your wonderful debut novel, Unusual Chickens for the Exceptional Poultry Farmer. Kelly Jones:Thanks so much for having me! I am always drawn to epistolary novels. I love Sophie Brown’s letters to Uncle Jim, Abuelita, and Agnes. Did early drafts tell the story through letters and documents? Kelly Jones: Yes, this book has always been in letters – I’ve been dying to write an epistolary novel since I first read Sorcery and Cecelia by Patricia Wrede and Caroline Stevermer. But the early versions were very different: at first, Sophie only wrote to Agnes. But why was Sophie telling Agnes such personal things? Who would she tell instead? Once Sophie was writing different kinds of letters to different people, the story could really unfold in different dimensions. Also, it wasn’t until I started to wonder who was delivering Sophie’s letters that I met Gregory, the mailman, who turned out to be one of my favorite characters. Kelly Jones: Unusual Chickens is about a girl & her superchickens trying to do what's right, & making a home in a new place. 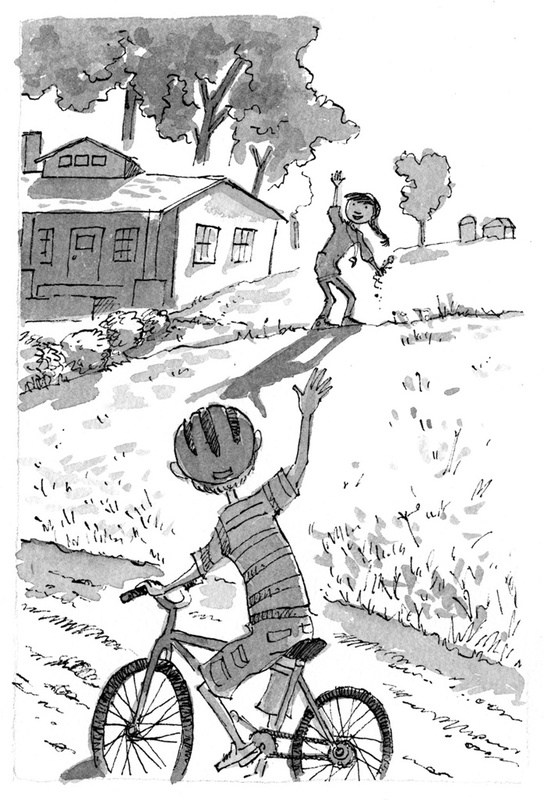 It's a funny book about grief. 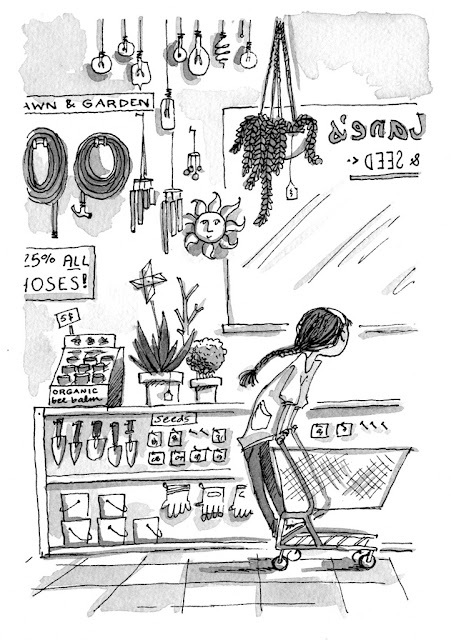 What ran through your head the first time you saw Katie Kath’s illustrations? I hope you two meet in person soon. I'm looking forward to meeting you at ALA Annual next week. 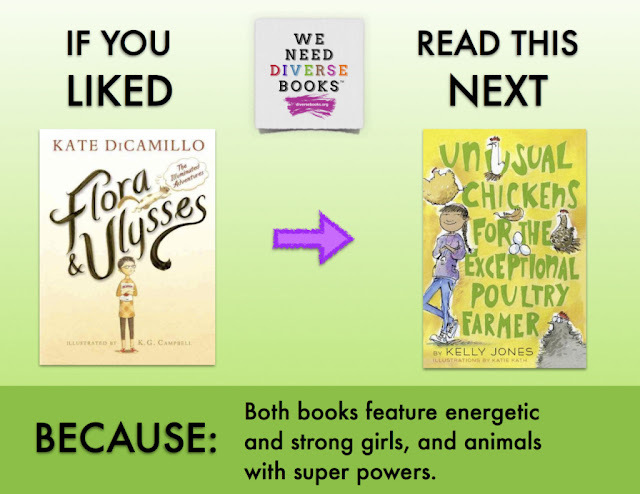 If we had been friends in middle school, which book would you have insisted I read? Back then? Probably The Westing Game by Ellen Raskin, or maybe Lizard Music by Daniel Pinkwater (both still favorites!) 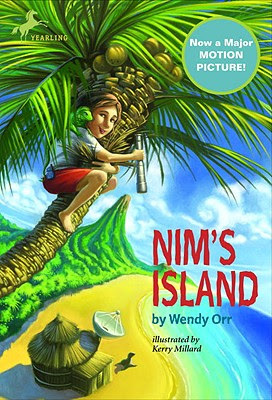 But if I could take a book from any time back with me, I’d probably give you Nim’s Island by Wendy Orr, which was a magic book to me when it came out – I wonder what you’d think of it! I've seen the Nim's Island movie, but I haven't read the book. I'll add it to my to-read pile. Thank you for the recommendation! Sophie Brown’s parents are worried about a lot of things: money, bills, food assistance, finding work, missing the family, friends, and community they left back in Los Angeles, and wondering whether this move was the right choice. But they aren’t worried about Sophie. They know she is brave, and optimistic, and will always do the best she can, even if she didn’t want to move. They are really, really proud of her. Glamour tells the story of Miss Annis Whitworth, who, when orphaned, decides she’d much rather be a spy like her father than a boring old governess. Unfortunately, the War Office does not agree, so she will simply have to show them how helpful she could be. It’s set in 1818 England, and there are no chickens (yet), but it is still funny, and it has a different kind of magic. Reading is my favorite way to see the world and meet new friends. It’s also the place I go when hard things happen in my life. There are a few books I’ve read so many times that just opening the cover feels like a huge hug from someone I love. I would like nothing better than to write a book that could give a hug to someone who needs one. It’s the best kind of magic. Mr. Schu, you should have asked me who might like to read Unusual Chickens for the Exceptional Poultry Farmer? 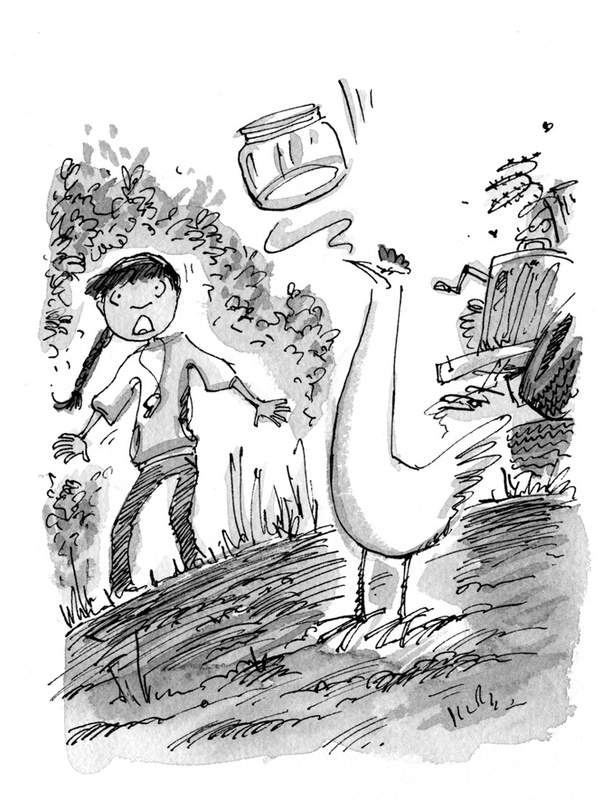 And, most of all, someone who likes funny books, with really, really funny pictures! 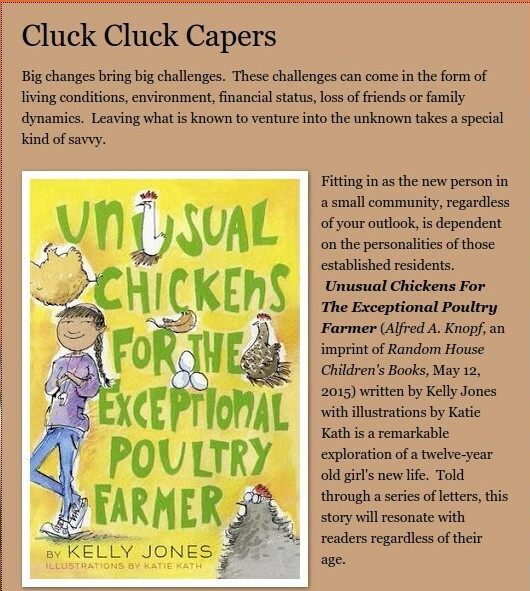 Borrow Unusual Chickens for the Exceptional Poultry Farmer from your school or public library. Whenever possible, please support independent bookshops.